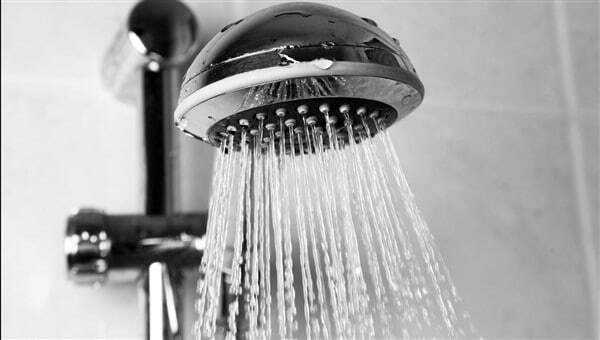 Get a professional shower repair by Clovis Plumbing Services! If you have been worrying about the leaking shower in your bathroom lately, we at Clovis Plumbing services do all kind of shower repair work. We cover every possible area related to the shower repair and installation work to let you enjoy 100% waterproof leaking shower and comfortable bath area. Why choose Clovis Plumbing Services? Being leaders in the plumbing industry, we have a solid track record with thoroughly designed tools, methods and procedures that allow us to perform shower repairs with great expertise. Utilizing our plumbing services will also save you a time, money and the hassle of tackling the leaking shower on your own. Shower installation services: Starting from the installation of the shower to adjusting the water pressure and shower head height. Use of latest technique: We use the most efficient technique and products in all our shower installation and repair work. Thorough inspection: Our technicians assess all the damage due to either clogging or calcium deposits in the shower head. Customized solutions: Clovis Plumbing Services uses TaylorMade Tile to provide tile repairs, sealing shower trays or re-grouting. The purpose of our services at Clovis Plumbing is the excellent customer service for any kind of plumbing need in extremely professional yet friendly manner. Honestly, some things are just better left to the pros. A plumbing leak in the shower might seem like a project that you can manage well, but it really can get quite complex. Depending on where the leak is originating, a tiled shower wall may need to come out. If that is the case, I would recommend hiring a licensed plumber. Let's discuss what could be involved with a shower repair. If you can see the water running out of a connection between your shower head and the wall, it might be an easy fix to simply remove the shower head and replace it. The larger issues involve leaking handles and evident moisture from behind the wall at the valve. Any time there is moisture from behind the wall, don't ignore the problem. If the pipes and valves can be reached from the other side of the wall and the tiled wall itself isn't damaged, it may be possible to repair the leak from the backside. Your professional plumber will know where to locate that problem so the damage is minimized. If the wall has been exposed to moisture from behind that has caused the tiles to come loose, they may have to be knocked out and the drywall behind the tile actually replaced. If the studs are wet, they need to be completely dry before proceeding. Of course, this will also require new tile. Once the leak is located and it is determined what needs to be replaced, removal can be further hampered by the age of the valve and the length of time it has been leaking. Replacing or repairing a shower pan is a big deal. The tub or shower bottom needs to be demoed, and that requires breaking out additional tiles. A shower pan extends above the lip of the tub or shower, to contain moisture that might get through. Get it replaced as soon as possible to avoid rotting the studs and causing rodents, termite infestation, or mold. A drain leak in the shower will require getting into that shower pan, too. Once again, it is very important to get that dried out and replaced as soon as possible to avoid more damage. Often, it isn't the repair that makes a plumbing leak complex. That's the easy part. Difficulty begins while working on the original leaking area and removing the materials for the repair. It's very easy to damage more property than necessary during discovery and removal. Then more parts and labor are involved replacing the original parts. Don't take on jobs like this by yourself. Shower repairs can be quite easy for an an experienced plumber. One of the most common causes of shower repairs is a shower faucet or a leaking valve. It gets worse when the leak comes from the side that supplies hot water. The water can also leak into the wall and cause wood rot which can be very expensive to repair. When a shower head that is dripping, it is because the shower faucet has a problem. Sometimes the faucet gets blocked by deposits from water or the faucet may be rusty. It may also be that the cartridge in the shower faucet are worn out. The gaskets which move are prone to wearing down and when this happens, water begins to drip. If you're shower is dripping, make sure not to overtighten the valve handle as this can cause damage and increase your shower repair costs. When conducting shower repairs, lay rags on the floor of the shower before doing any work. This helps prevent any parts of the faucet falling down the drain. A valve that shuts off the water supply to the shower is then turned off, and it is normally located outside in the front of the home. The procedure used to perform the shower repair will depend on the type of faucet being used.